Please join us on Friday, Dec. 7, 2018, 9 am, when Glenn E. Martin, Founder and Senior Consultant at GEMTrainers and Founder and former President of JustLeadershipUSA, will be our guest on Criminal Justice Insider with Babz Rawls Ivy & Jeff Grant – The Voice of CT Criminal Justice. Live on WNHH 103.5 FM New Haven and live-streaming at newhavenindependent.org. Rebroadcast at 5 pm. Sponsored by the Community Foundation for Greater New Haven – Now More Than Ever. Glenn E. Martin is the Founder and Senior Consultant at GEMTrainers. 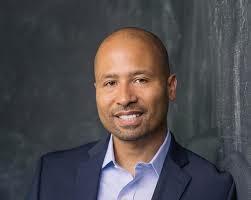 Before founding his consulting firm, Glenn E. Martin founded and served as President of JustLeadershipUSA, an organization dedicated to cutting the U.S. correctional population in half by 2030. For almost 20 years, he has been part of the vanguard of successful advocates and non-profit leaders in America. His inspirational leadership has been recognized with multiple honors, including the 2016 Robert F. Kennedy Human Rights Award, the 2017 Brooke Astor Award, and the 2014 Echoing Green Fellowship. Prior to founding JustLeadershipUSA, he was the Vice President of The Fortune Society, where he founded and led the David Rothenberg Center for Public Policy. He also served as the Co-Director of the National HIRE Network at the Legal Action Center, and is a co-founder of the Education from the Inside Out Coalition. Glenn is also the founder of the #CLOSErikers campaign in NYC. ​Glenn’s bold, unflinching leadership is recognized by leaders from across the political spectrum. He is a sought after public speaker and a frequent media guest appearing on national news outlets such as NPR, MSNBC, Fox News, CNN, Al Jazeera and CSPAN.